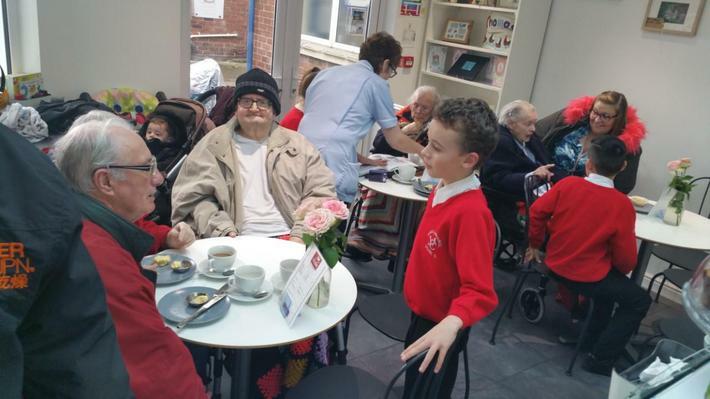 Established in April 2015, our staff and pupils are very proud to introduce you to our fantastic school community café 'eCafe'. 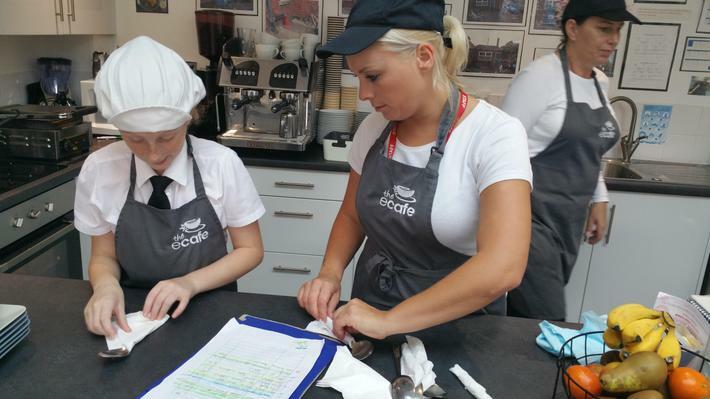 eCafé was built with the purpose to help promote pupils professional as well as their academic development in school, whilst enabling us to reach out and forge positive relationships with our local community. 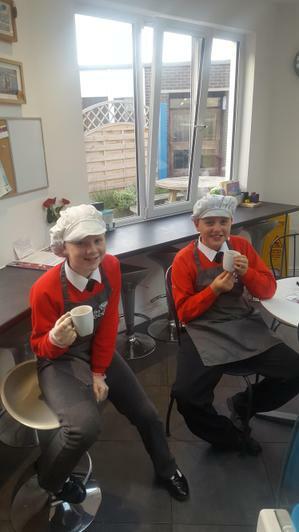 The café allows our pupils to practice their customer service skills, as well as their literacy and numeracy by writing down orders and working on the tills. The eCafé has also proven to be a positive nurturing environment for our pupils, helping them build their confidence, realize their potential while providing them with an enriching experience introducing them to the world of work. 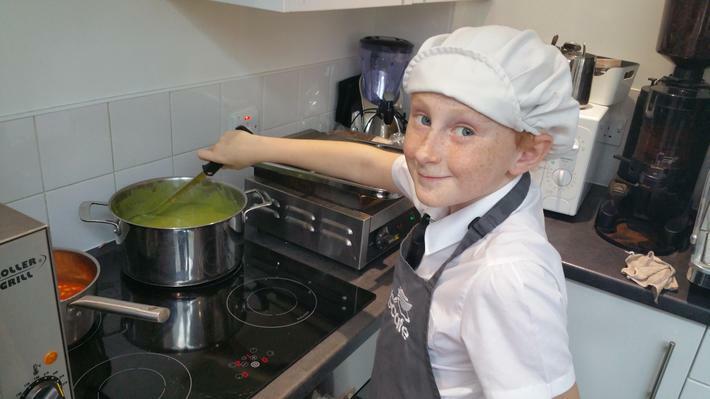 Our pupils are now fully competent in speaking to customers, taking orders, working the till and helping prepare healthy home cooked food. We work... 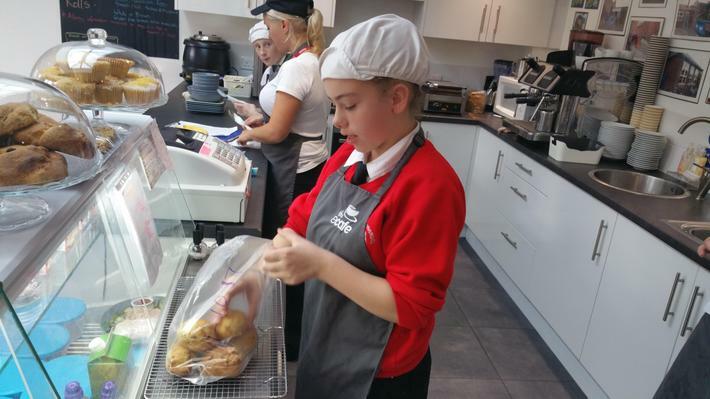 Everyday two pupils from year 6 work in the café to take orders from staff. They prepare drinks & food and work on the tills and clean the café. We prepare... 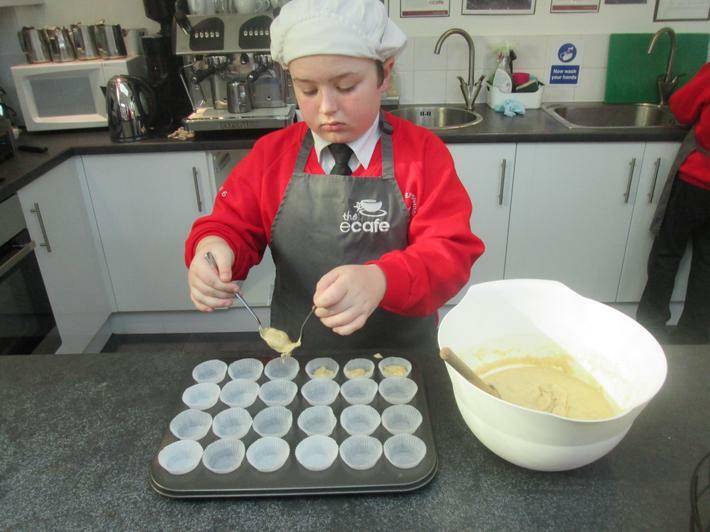 Healthy meals using Fairtrade and organic products for staff, parents and members of our community for a small price. We have a lunchtime 'special' everyday. We sell... Tea, coffee, bottled water, fresh orange, apple and pineapple juice, as well as delicious, healthy homemade food. We cater... TO EVERYONE! Parents, staff and members of our community can come in and enjoy our selection of hot and cold drinks and home cooked food! 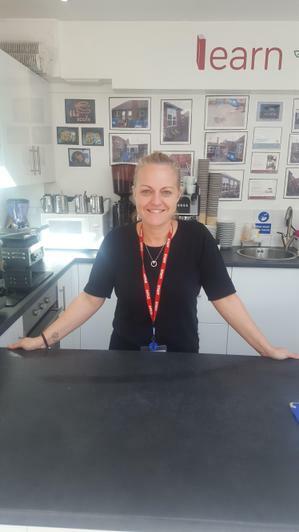 Mrs Owen is our e-Café supervisor she organizes and ensures we have plenty of food in the café so that the pupils can make delicious and healthy meals, she also helps advertise and promote what the pupils do in the café by inviting members of our community for a complementary hot drink and cake. Mrs Owen works extremely hard to ensure that staff, customers and of course of pupils are happy. "I supervise the day to day running of the café, helping to order, and to prepare menus for our customers. I always try to think of something fun and different (and of course healthy!) that I know our pupils will enjoy making. I have helped train and have supported other members of staff and pupils. 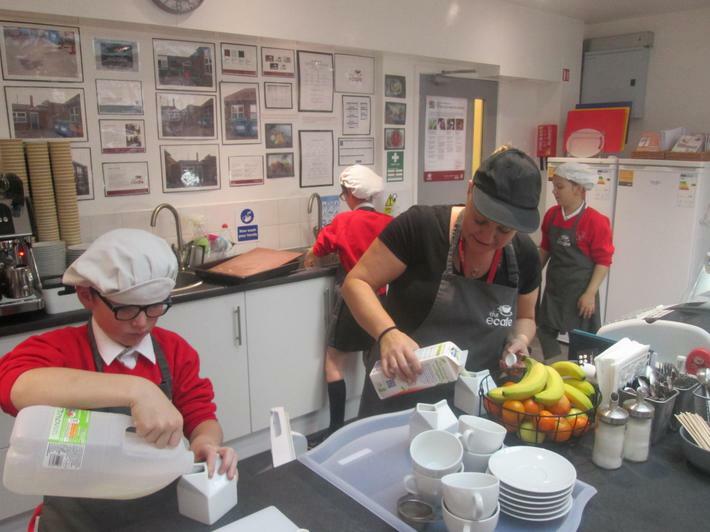 I love seeing them all progress and develop their culinary skills, and most of all I enjoy seeing their confidence grow!" 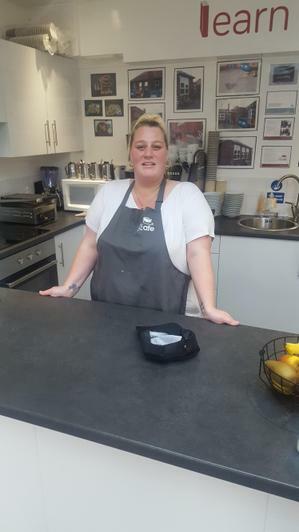 Miss Jones has worked in the school café for two years, she is the cafes assistant supervisor, and works with year 6 pupils teaching them how to cook and prepare healthy food and drinks, as well as taking orders and payments. Miss Jones offers both a positive and nurturing learning environment for our pupils. "I was a regular parent at Ysgol Emmanuel. I saw an advertisement in the school newsletter for a 'volunteer helper' in the school café. 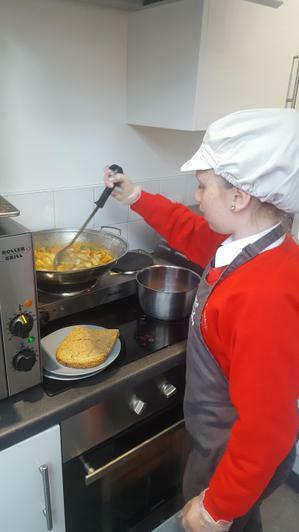 I volunteered for one year and was then given the opportunity from the Headteacher to go to Rhos on Sea college to do a level 2 professional and prepare chef course. I completed 15 modules and got 10 distinctions. I have now been made e-café assistant coordinator, and as of now I am training two parents to help them achieve what I have accomplished. I love my job and I love working with the children. Thank you to Ysgol Emmanuel for giving me this amazing opportunity." 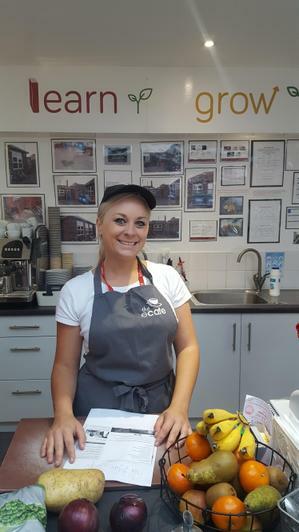 Miss Hughes is a volunteer helper in our e-café who works alongside the staff and Year 6 pupils assisting with day to day duties in the e-café. Ysgol Emmanuel have recently enrolled Miss Hughes on a Level 2 cooking course in college. She is also one of our Ysgol Emmanuel parents!